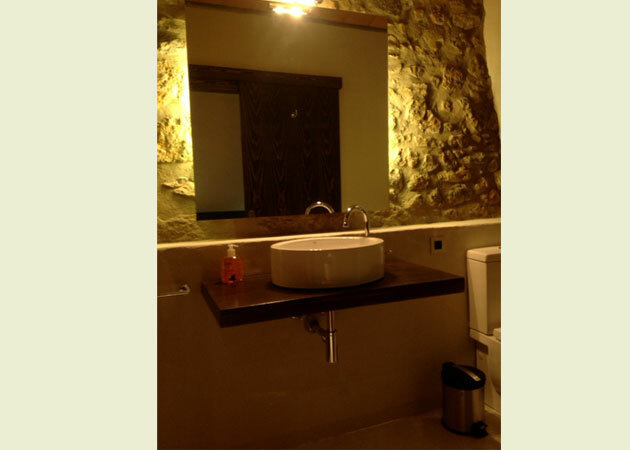 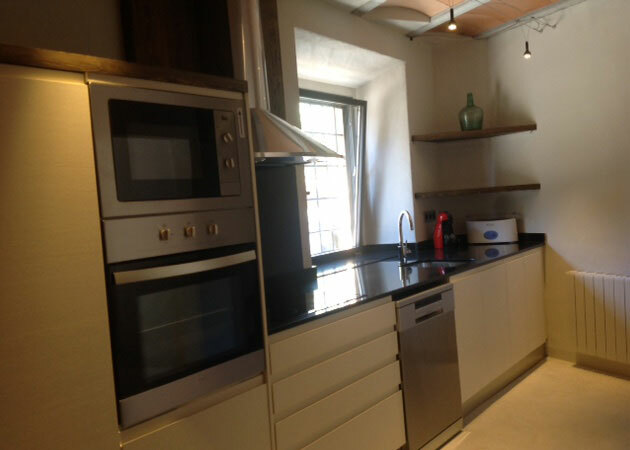 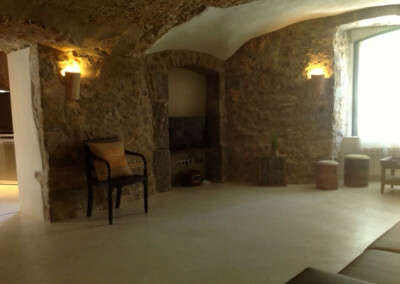 El Celler, with 120m2, is located on the ground floor of the farmhouse. 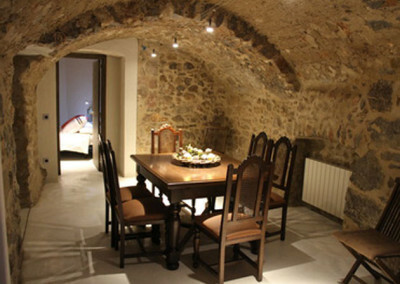 It accommodates 8 guests in three bedrooms. 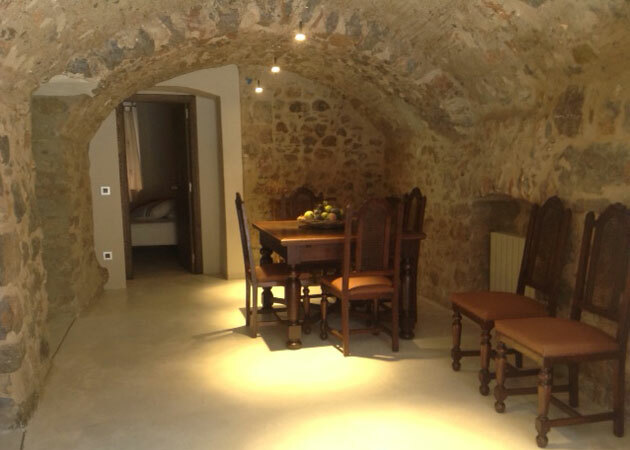 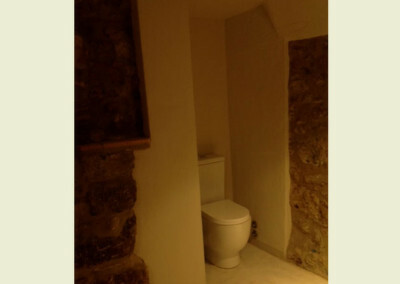 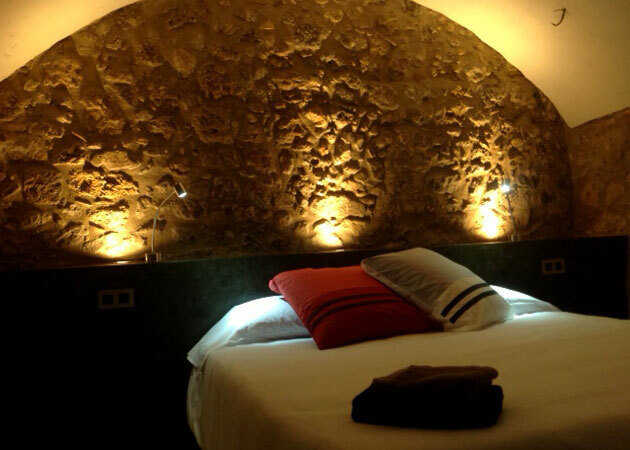 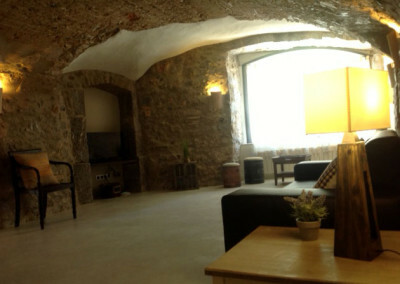 This authentic farmhouse conserves its rustic charm with typical Catalan stone vaults. 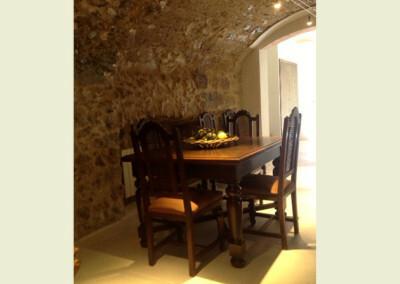 Upon entering, we found a hall, open to a large dining, which can fit about 25 people. 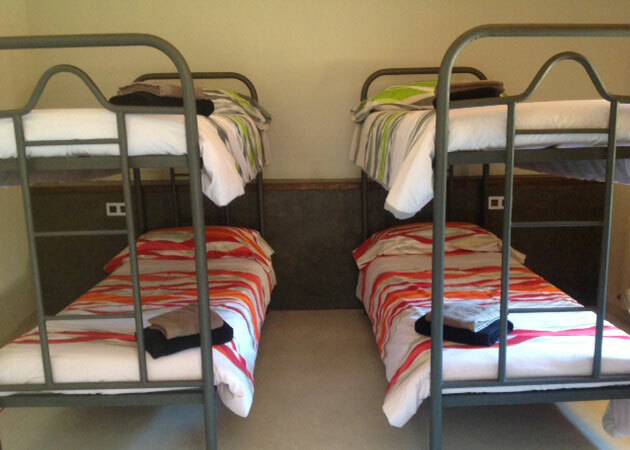 To the right of the entrance, we find a quadruple room with bunk beds. 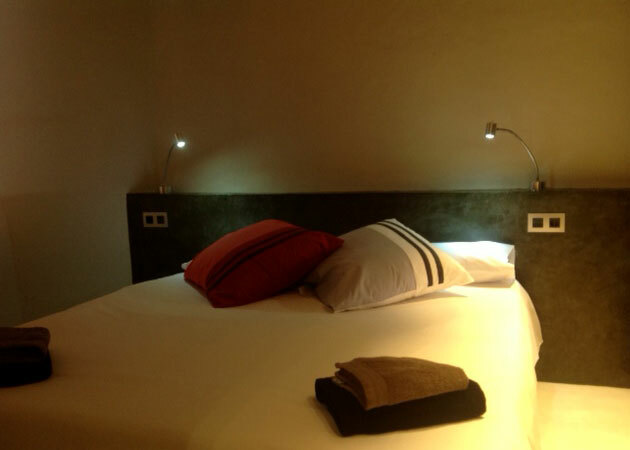 At the bottom, a double room with queen bed and bathroom. 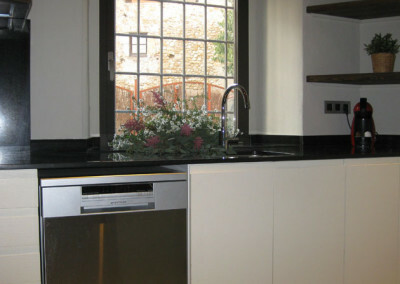 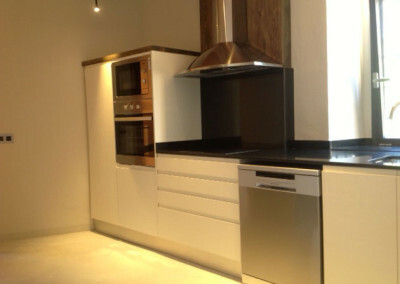 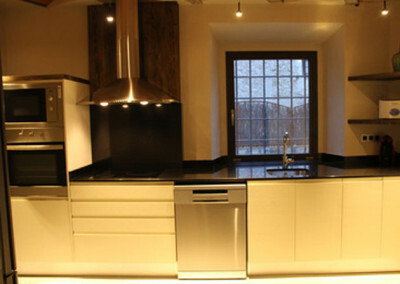 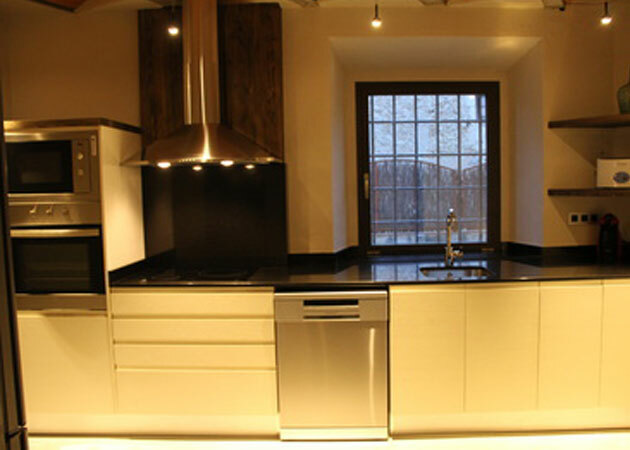 To the left of the entrance, we find the modern fully equipped kitchen. 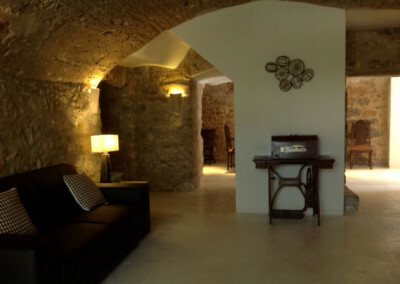 From the kitchen you access to the spacious and cozy living room. 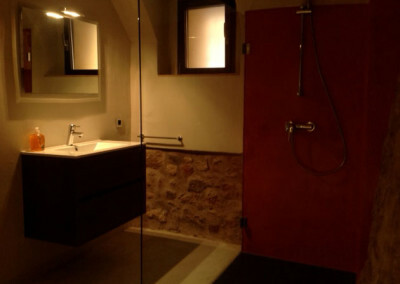 Then we find a large bathroom and a second double bedroom with queen bed. 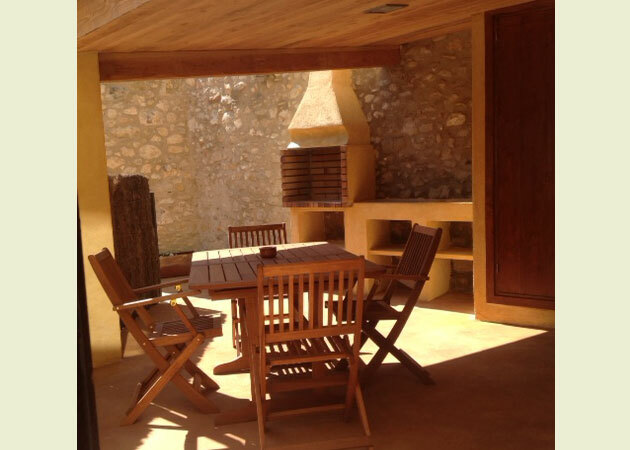 This rural house in Girona has its own porch area with barbecue to enjoy dining outside.